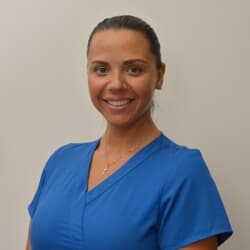 Dr. Lina Torres graduated from Case Western Reserve University School of Dental Medicine in Cleveland, Ohio and holds a Master's degree in Biomedical Sciences from Barry University in Miami, Florida. She is originally from Bogota, Colombia, and moved to the US when she was a teenager. She speaks Spanish and English fluently, and she understands Portuguese. She is continually furthering her education and is a participant in the prestigious Pankey Institute for Advanced Continuing Education. Her focus is mainly on restorative dentistry, esthetics and smile design, and she strives to create a health and beauty balance approach. Dr. Torres worked multiple years as a Scientific Researcher on projects ranging from cancer, neurobiology, population genetics, and diabetes, and she holds a publication as a coauthor from one of her projects. Due to her extensive focus and passion on scientific advancements, she stays current on the newest dental techniques and evidence-based-dentistry. Dr. Torres won an award by Delta Dental for commitment to the community and a scholarship for Clinical Excellence from Case Western Reserve University. She is very compassionate, and she makes her patients feel like family. In her spare time, she enjoys traveling, skiing in the mountains, and outdoor activities where she is being surrounded by nature. She loves dogs and is planning to get one soon. Dr. George is committed to providing high quality, comprehensive dental care. A graduate of Loma Linda University in California, he also holds a Master of Dentistry Degree from The Medical University of Sofia. Dr. George completed a mini-residency in implant dentistry with Implant Educators at the University of Florida and also studied occlusion and aesthetic dentistry at the prestigious Dawson Academy. Dr. George has earned multiple international awards for his research in orthodontics and the relationship between oral health and systemic diseases. In addition to being awarded Fellowship status in the International Congress of Oral Implantologists, Dr. George is an active member of the Academy of General Dentistry. 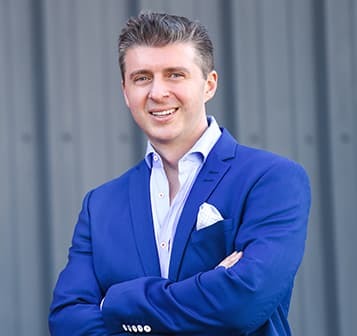 His focus on patient safety and care has led to his establishment of a mercury-free, low-radiation dental office that prioritizes patients personal time as well as makes his practice more efficient. Her commitment to furthering her education and expanding her knowledge of dentistry makes her a valuable asset for both our team and our patients. She assists both Dr. George and Collazo during restorative treatments as well as manages our office supply inventory. You might say she keeps the back office running by making sure everything is ready right when one of our doctors needs it. She’s always on the move, and her energetic attitude helps us to always ensure that patients are seen in a timely manner. Ivanna enjoys helping people feel comfortable during their visits. Her caring personality and one-on-one time with each of our patients makes her a core part of our practice. She says her favorite part about coming to work each day is that she gets to work in a positive environment with great people. We’ve had Ivanna as part of our team since 2013 and look forward to many more years with her by our side. Anastasia is our Dental Hygiene Team Leader. She has over ten years of solid collective dental experience. Anastasia graduated from Miami-Dade College in 2013 with an Associate's degree in applied science. She is experienced in many aspects of the dental office which includes general, orthodontic, and pediatric dentistry. 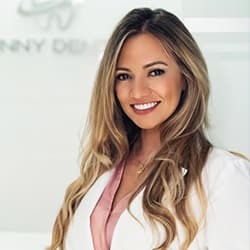 Prior to receiving her dental hygiene degree, her career started as an orthodontic dental assistant where she had spent nearly nine years creating beautiful smiles. Anastasia joined our Sunny Dental of Wilton Manors Team in the Spring of 2014 as a Registered Dental Hygienist. 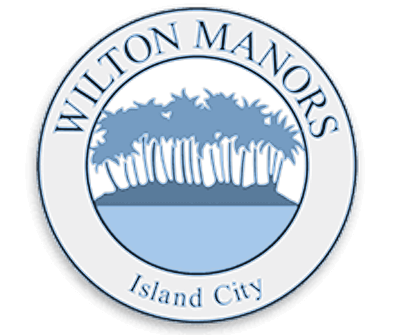 She is also certified in CPR/BLS training and continues to further her knowledge every year by maintaining at least 12-24 hours of continuing education courses. She is fully equipped with knowledge and practical expertise and has strong initiative and exceptional organizational skills. Furthermore, with the history of success in contribution to the dental care community, patients and their families, Anastasia volunteers herself each year at ‘Give Kids a Smile Day’ and ‘Health Career Day’ providing the best quality dental care available to all her patients.